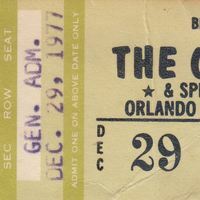 A ticket stub for a concert featuring The Outlaws at the Orlando Sports Stadium, which was also known as the Eddie Graham Sports Complex. The Outlaws is a rock and country band from Tampa, Florida, that had two hits in 1975 with their songs "Green Grass and High Tide" and "There Goes Another Love Song." This concert took place on December 29, 1977, at 8 p.m. The show was presented by the Beach Club. Once host to some of the top names in sports and music, the Orlando Sports Complex was demolished by the Orange County Building Department in 1995 due to code violations. Mixon, Bernie. "Sports Stadium Down For The Count." The Orlando Sentinel, November 15, 1995. Accessed February 16, 2015. http://articles.orlandosentinel.com/1995-11-15/news/9511141684_1_sports-stadium-orlando-sports-hoffman. 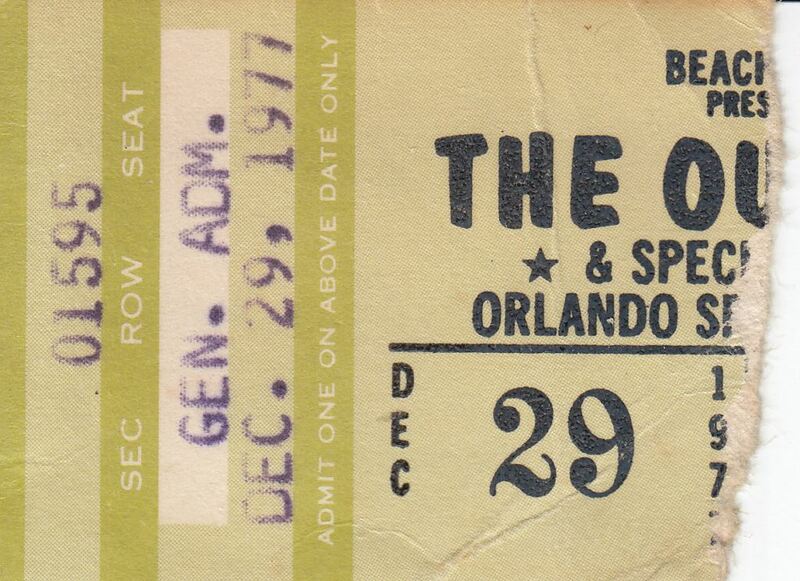 “The Outlaws Ticket Stub.” RICHES of Central Florida accessed April 24, 2019, https://richesmi.cah.ucf.edu/omeka/items/show/4775.